American Heart Association (AHA) CPR, First Aid, BLS for Healthcare Providers and ACLS approved training site. A Fresh Approach For Your AHA – CPR, AED and First Aid Training Needs. Where Do You Learn Best? Classroom? Group? Online? We recognize that everyone has a preferred learning environment, and this is why we offer all types of training for the individual, your staff, students, co-workers, employees and families. We offer group, semi-private, private, in-classroom and online training classes. 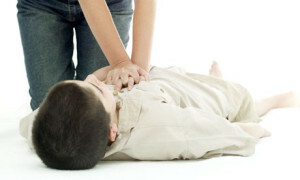 All CPR classes follow American Heart Association (AHA) guidelines and curriculum. All classes are available at your location (office, home, boardroom, ect. ), or at our training facility in Los Alamitos, CA. Our spacious classroom is clean and each student is assigned their own manikin and supplies for the training. Upon completion of your CPR class, you will receive your American Heart Association course completion card. Group training available at your home or office. We proudly serve Orange County, CA, Los Angeles County, CA and Riverside County, CA. We willing to travel to any location and provide all AHA and safety training needs. Need us in Hawaii? Aloha! Do you prefer self-paced, online classes? We have that too! We understand that you have a busy schedule and demanding life that offers little to no free time. Let us help. Try one of our online classes. Simply register for a online classes and skills check. After completing your online class, visit our classroom to complete your quick and easy skills evaluation, and leave with your AHA card that same day. 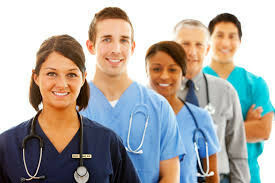 Get the most for your time and money with California EMS Training. We are bringing the future of training and education to you. We look forward to helping you with all your training needs. If you cannot find a time or date that fits your schedule, please call us at 800-354-4917 or email at support@californiaemstraining.com to arrange a convenient time that works for you.